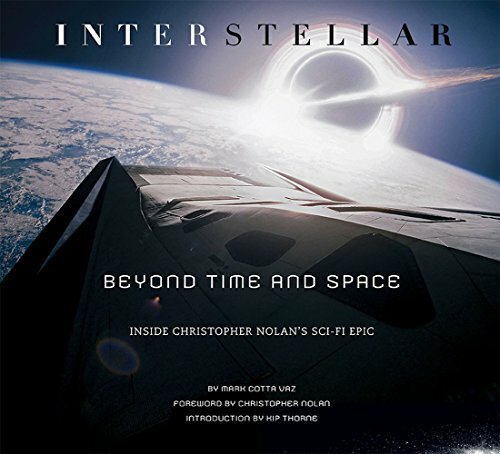 This is a nice movie companion book for Christopher Nolan's Interstellar. It's an insightful writeup on the making of the film with wonderful accompanying photographs and artworks. Nolan's directing philosophy is still the same as in previous films, such as in The Dark Knight Trilogy, preferring to use real sets over CGI graphics. So this book covers the different sets that he has to build, and the locations used for other planets. There are lots of interesting details. You'll learn how they created the look of zero gravity, shooting in Iceland where winds can go up to 100mph, where the idea for the Tesseract came from and how they build the set, where they find the farm and got the farmer to actually plant acres of corn, Anne Hathaway's spacesuit had a zip not fully closed and soaked herself while jumping into the water, how dust was created and many other things that happen behind the scenes. The book talks about the story quite a bit so you must definitely watch the film first. They actually got Kip Thorne, a professor of theoretical physics, to be an associate producer for the film, and his equations provided some of the visual imagery represented on screen as the worm hole. Those equations on the chalkboard are from Thorne, not professor Brand or Murph. However, if you know a bit of space and science, then you may be disappointed that the book does not cover the really technical and geeky parts, basically the possible plot holes, things like how space travel is possible with a ship like Endurance, how far it is before you get pulled in by the black hole, etc. Overall, it's a well done film companion. Those who enjoyed the film should enjoy this book as well. I find it intriguing enough to finish reading in one sitting. The only downside to this book is the problem with sticky pages. My copy has several pages that stick together. They can be pulled apart but sometimes the paint gets peeled off and leaves tiny white spots over the area. You might want to wait for a reprint or contact the publisher Running Press to get it sorted out. This page was stuck to the other. After I peeled it off slowly, some of the paint also came off from Matthew McConaughey's neck area.